Higher power handling capacity. The thermal limit is effectively reduced, allowing the voice coil to work 80ºC below comparing to our previous thermal circuit. Reduced power compression losses, which allows to keep the final SPL (Sound Pressure Level) in more constant values within a working period. More stable and linear behaviour of the moving assembly in long excursions thanks to the new system design, reducing offset issues commonly related to asymmetries in non-linear components (mainly Bl(x), L(x) and Kms(x)). Dynamic response. 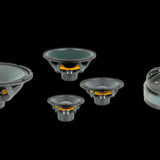 The efficiency of the HELICEX® system allows to use 5” or 4” voice coil diameter (depending on model), which means lower Mms values and better control of the moving assembly compared to other systems and comparable products available nowadays, as well as lower overall weights of the speaker because of an optimized dimensioning of the mechanical assembly. 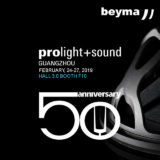 In Beyma we face the problem of heat dissipation with a clear goal in mind: the speaker must deliver the best performance in the system in a consistent and reliable way, maximizing the total SPL and keeping it stable. It is well known how the overall SPL of a system suffers a drop after some time working due to the power compression effect in the speakers. It is also known the bigger the voice coil diameter the lower the power compression and the higher the power capacity, but this also means bigger motor structures to obtain high sensitivity from the transducer. 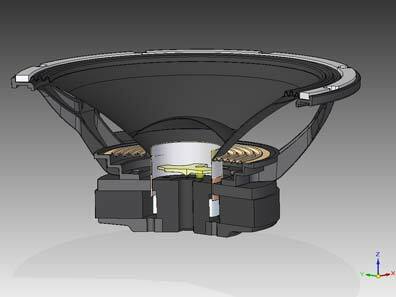 The latest cooling technology that we deliver to the Professional Audio market through our new speakers, bring together several solutions to meet our goal; in one side allows the woofer to handle bigger rates of power with a given coil diameter, so we can think in smaller coil designs with smaller motor structure, reducing the weight but increasing the sensitivity and also keeping an adequate power handling figure for a target application. Products like the 18PW1400Fe, or the unique 12MC500 are designed following that concept; models that even with a ceramic magnet structure, feature high sensitivity, an increased power capacity and performance comparable to bigger coil designs with neodymium motor structures. Our R&D department implements in close cooperation with the Technical Office practical experiments to illustrate, show, and transmit the acquired knowledge. As an example, a good result in the research of new materials has been the new PM4 diaphragm, which incorporates a new high tech polymer never used in audio before. Delivers a stronger joint between the dome and the former of the voice coil and so a better behavior with high power handling and long periods of working. 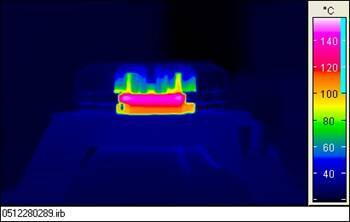 The increase of temperature in a pleated diaphragm strains every fold, limiting the electrical power it can handle. 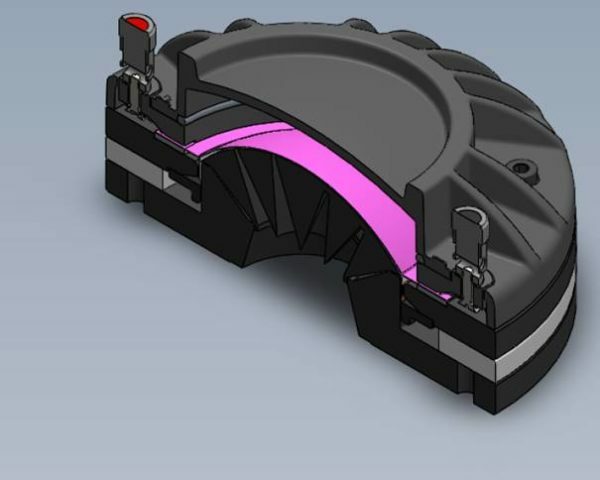 The target of Xbow Technology is to open as much as possible the constraint in the diaphragm, allowing it to manage higher temperature rates and so increasing the limit of the power it can handle.